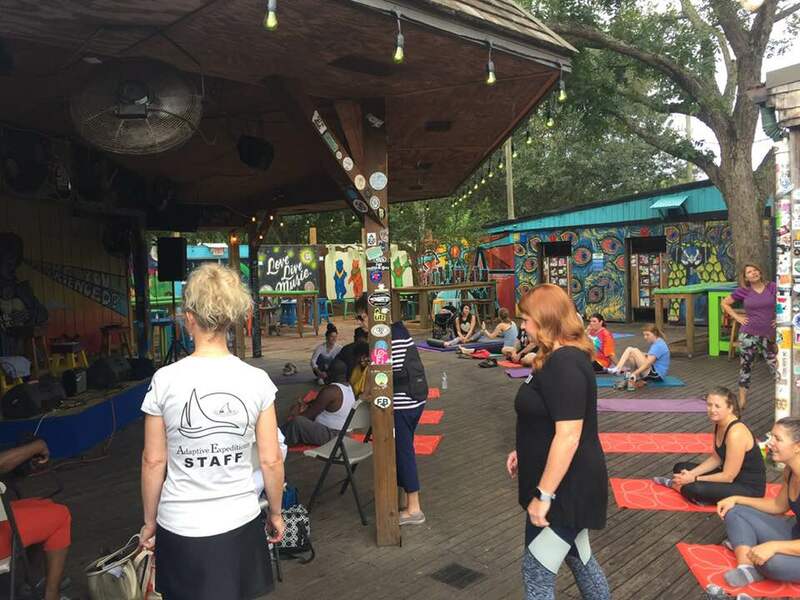 Adaptive Expeditions is excited to again offer universal access yoga on the back deck of Charleston Pour House. 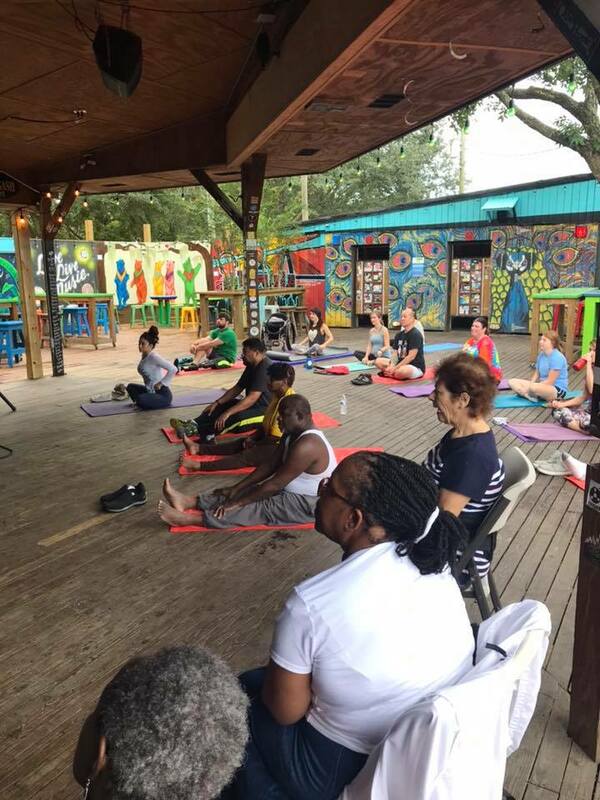 We welcome individuals with and without physical and sensory disabilities to join us for a fun and relaxing yoga class. 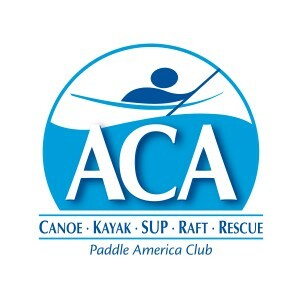 Join us each month this spring. Floor transfers are optional. All poses can easily be modified to a seated position and chairs will be available for those who do not wish to transfer to the floor. Adaptive Expeditions has thick mats for those who require additional skin protection, as well as straps, blocks and bolsters to use during class. We ask for a $5 donation from participants with disabilities and $10 for those without.